October was another month of exhaustion - work was the busiest I've ever been and I've literally been to exhausted to do much of anything. Plus between ghost tours, musicals, and traveling across the country - reading has been at a low. I'm still reading every single day, just not at my usual pace. I've been enjoying the season, though, so I'll commit to not being angry at myself with not reading as much as I'd like to. 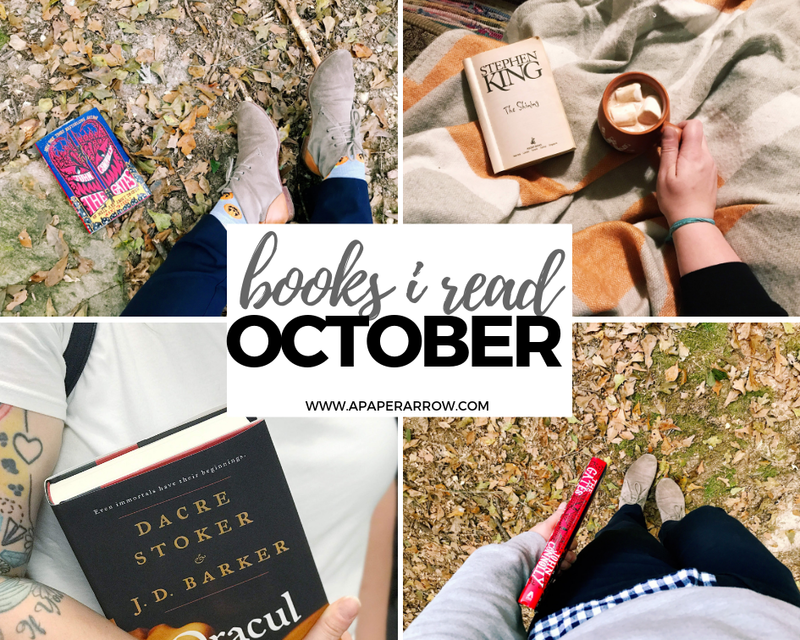 Check out what I read in October. Brief synopsis: After losing his job over a scandalous incident, Jack Torrance picks up a caretaker job at the fancy, high-end Overlook Hotel during the harsh winters of Colorado. His wife Wendy and son Danny come along, and for many months will not be able to leave the hotel. Danny's peculiar. He's got a way of knowing things that he shouldn't know, and sometimes sees things that others can't. And hotels, especially big, old hotels, have their secrets. Brief synopsis: Samuel Johnson thought it would be a good idea to go trick-or-treating a few days early. 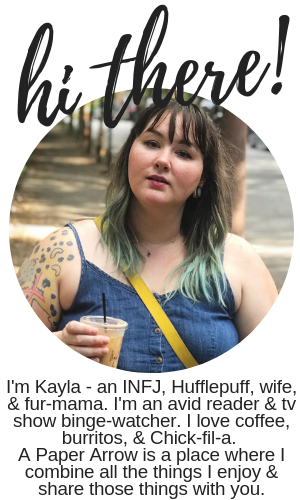 Just to get a head start, ya know? Unfortunately, when Samuel and his dachshund Boswell stop by a neighbor's house and get the door shut in their faces, they see something terrible instead. The neighbors have opened a portal to Hell - yes, that Hell- and now it's up to Samuel to stop it. 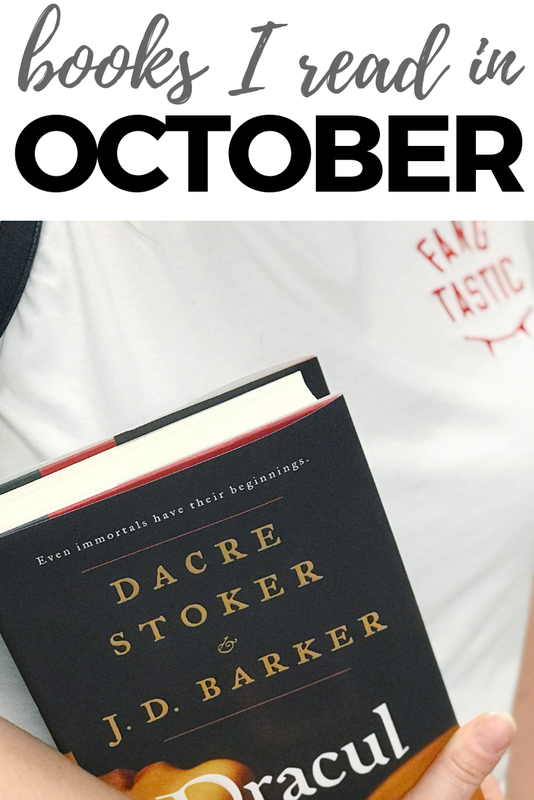 What were you favorite reads of October?